On a quiet rainy morning last week, I pulled out my biggest pan and made marmalade. 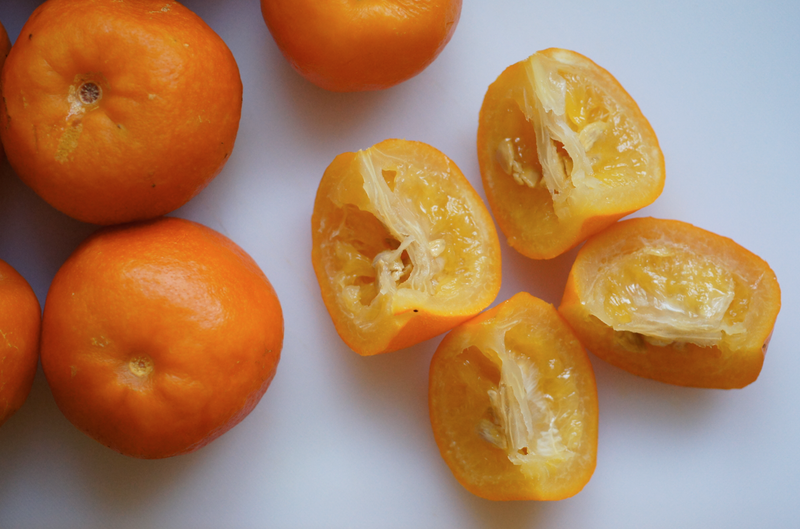 I'd found seville oranges a few days before at the market and knew it was finally time to try it out. I went to four wise ladies for advice: Constance Spry, Jane Grigson, Delia Smith and Fiona Beckett. There are quite a few ratios of pulp-liquid-sugar you can use depending on how strong you want your marmalade - I went for a fairly weak one that used all of my liquid. Before I discovered a much faster method of separating the pulp from the pith, I sifted through it by hand. My fingertips puckered as if I'd spent hours languishing in the pool. By the time dusk fell, I had just about finished hand shredding the mountain of soft peel. It's not the quickest of processes. It's all worth it when you line up the finished jars and then take the first bite. Marmalade has a great affinity for melted butter. The best container for melted butter is, of course, a toasted crumpet. 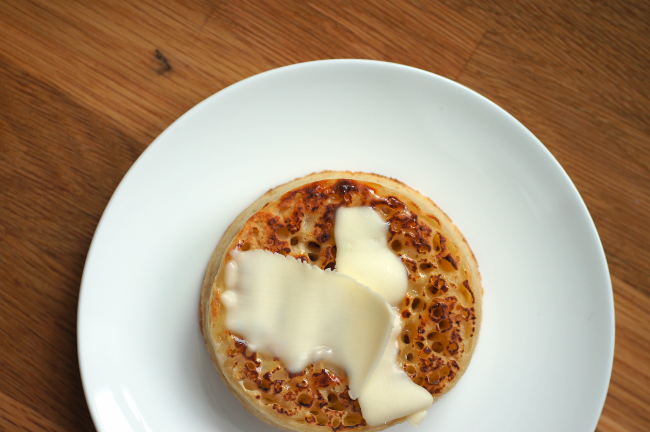 Crumpets are one of the only things I buy rather than make - I haven't worked out a recipe that is better than bought. A slick of marmalade completes the picture - silky sweet, a touch of bitter, a little chew. I found the idea for the labels on Tea & Cookies. I stuck them on the lids with a bit of double sided sellotape. 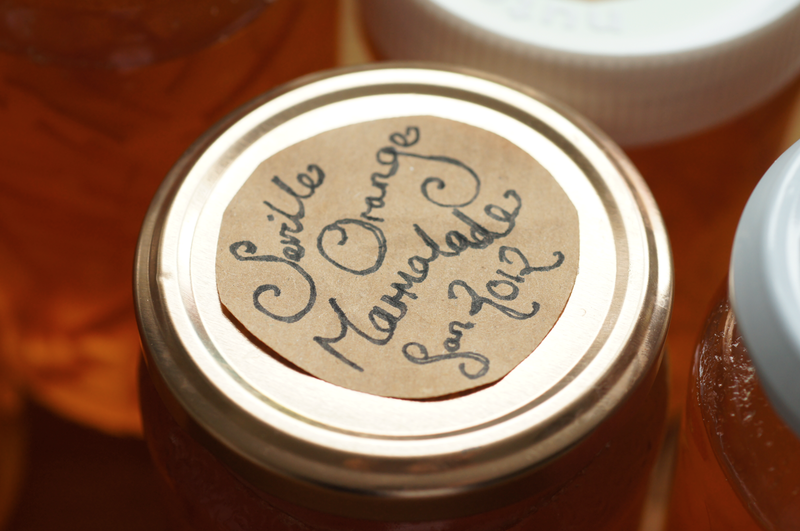 Nothing brightens a grey, rainy day like marmalade you've made by hand glowing brightly in its jar. I don't have a fireplace to kindle some bright flames this winter - but I do have my marmalade. Prepare the jars (about 6-7 big jars or 11-12 small 250ml ones - it's roughly 2.75 litres total) by running them through the dishwasher. Put a few saucers in the freezer (for testing the set). 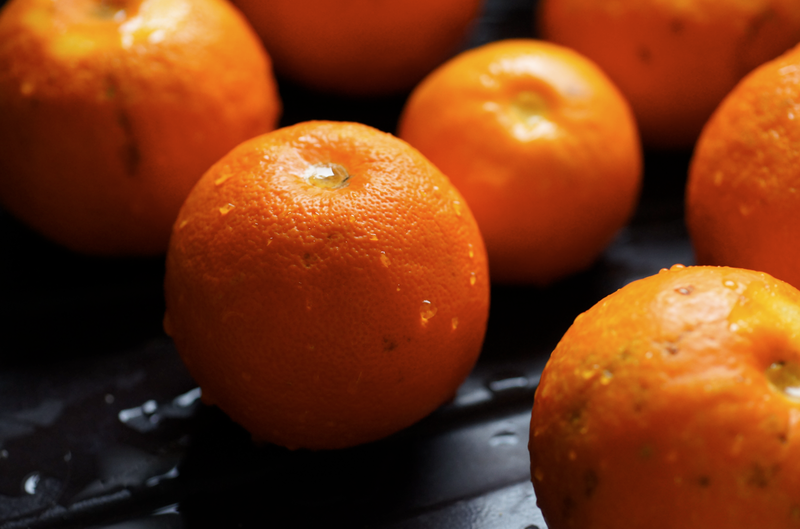 Wash the oranges in cold water to remove any dirt, remove the stalk buds and slice off any funny marks. Pour the 2 litres of water into a big pan and add the oranges. Bring to the boil then reduce to a simmer. Keep simmering for 1-1.5 hours until the oranges are soft and tender - a knife should easily slide in. Fish them out and leave to cool - make sure you keep the liquid. 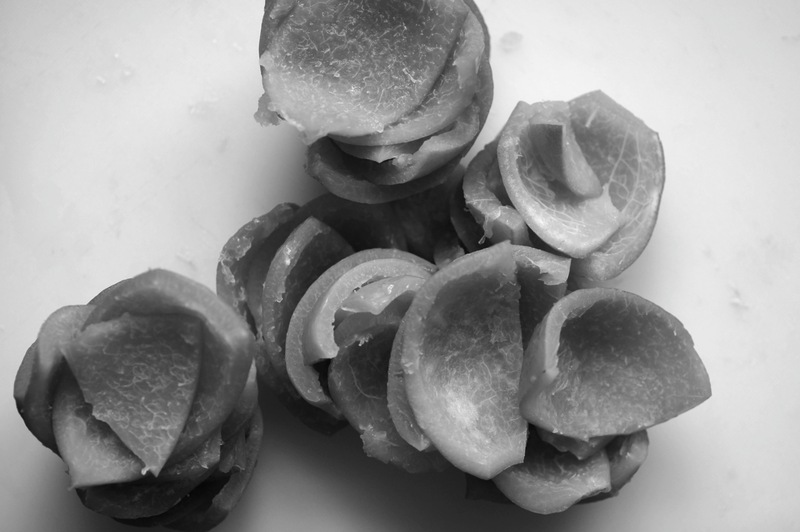 Once they're cool, cut the oranges into quarters (they look like this). Use a spoon to scoop the insides out into a sieve placed over a bowl. Squish the insides through the sieve until the pulp has all come out into the bowl and only the pips* and white sectioning bits (for want of a better word!) are left. Put the pulp/juice to the side. Take the soft peels and get ready to shred. Scrape/slice the peels slightly so there isn't too much pith and slice off any funny bits (including any bit that haven't cooked through and are still hard and white). I then sliced each quarter lengthwise into two and then very thinly sliced each one - I made them about 1mm thick. It does take a long time so music/company/film/tv is recommended... (you could also slice them a bit thicker but it will be chunky in the marmalade). When you're done, put the pulp and shreds back into the reserved cooking liquid - quite a bit should have evaporated during the initial boiling - about 2/3 is left. Put the sugar into a big tin and warm it up a bit in a cool oven. Start warming up the pulp/peel, then add the warm sugar and stir over a low-medium heat until the sugar all dissolves. Turn the heat up and boil for 20-25 minutes, testing the set towards the end. It will foam up but should die away later - if not, skim it off. To test the set, take out a frozen saucer and put a little spoonful of marmalade onto it and place it back in the freezer for a few minutes. Run a finger into the marmalade - if it thickly crinkles in ripples in front of your fingertip, it is set. When you're happy with the set, take the pot off the heat and leave to cool for 10-15 minutes (this helps stop the peel sinking). While you wait warm the jars up in the oven on a tray. Either find a jam funnel or prepare a paper version**. When ready, either use a jug or ladle to pour the marmalade into the warm jars through the funnel. If you don't have any waxed discs to place on top of the marmalade, I used a trick I found on Fiona's blog - I popped the lids on just after filling them then wrapped a towel around and quickly flipped it over so that the jam covered the sides and lid and then back again - this seals the jar. Leave to cool and the little buttons on the lids should click down after a few hours. Once cool, add labels of your choice. Enjoy the glow! * I no longer bother to gather the pips up and dip them into the marmalade - I've found it sets up just as well without. 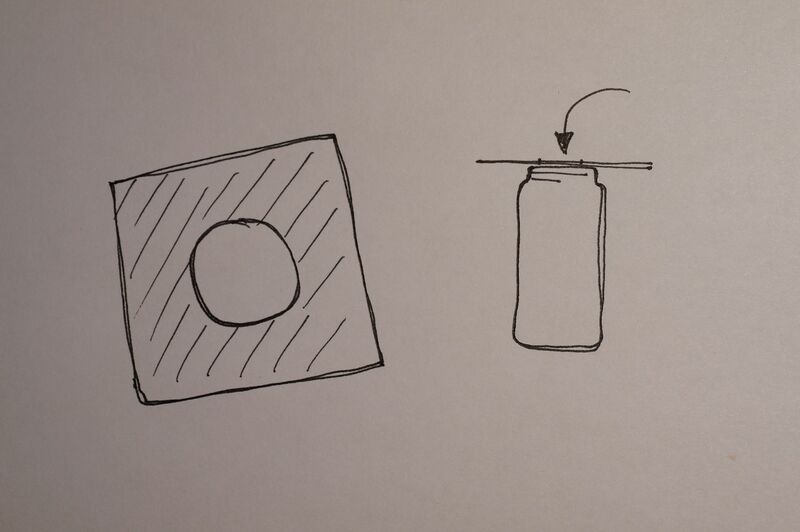 **As I didn't have a jam funnel I improvised one out of some thick paper - it stops the drips on the jar - see here for a diagram. Actual jam funnels are much easier to use and a worthwhile investment if you make jam/preserves with any regularity. Gorgeous colour .... And I guess it is good, too !! gorgeous! I'm so impressed. I've never seen marmalade with such perfect, even julienned strips of rind. I love it!! This looks amazing - I'm very tempted! One question though, why do you put the pips in the muslin and dip it in the liquid - does it add to the flavour or something? The amber and orange colours in those pictures are absolutely incredible! Did you touch up the photos after they'd been shot, or is that just the natural colour? If so, it's amazing. Katrin - Thank you, it's wonderful to hear you find it inspiring. I hope the recipes go well! Amber - I'm glad you like it! Thanks. Emilia - It does taste different to the the bought stuff - you might like it! It's a shame about crumpets - I think I'm going to give some more recipes a go. Anon - The pips contain a lot of pectin, so putting them back in helps the marmalade set. Hope you enjoy it! What a beautiful color- would cheer me up anyday. And yes, your nationality screams loudly here!! Emma, beautiful all around. 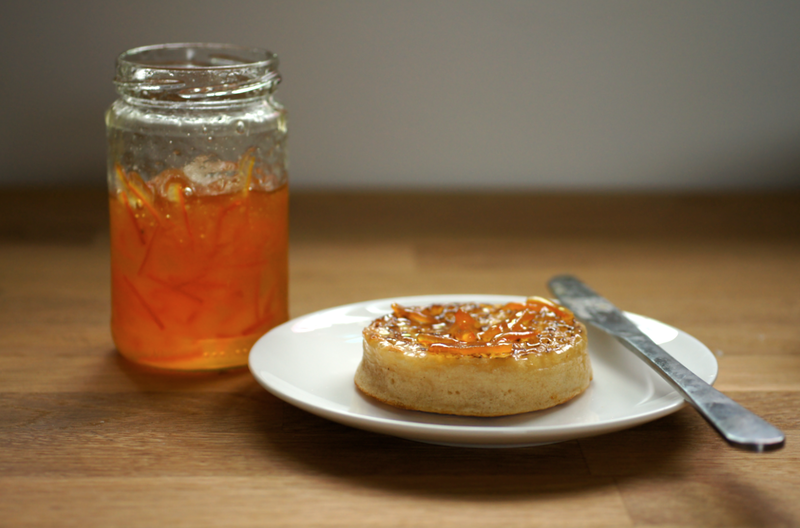 Crumpets and marmalade are a favorite of mine too -old British ancestry maybe;)? I cannot get over how stunning and vibrant the color is on that first photo. 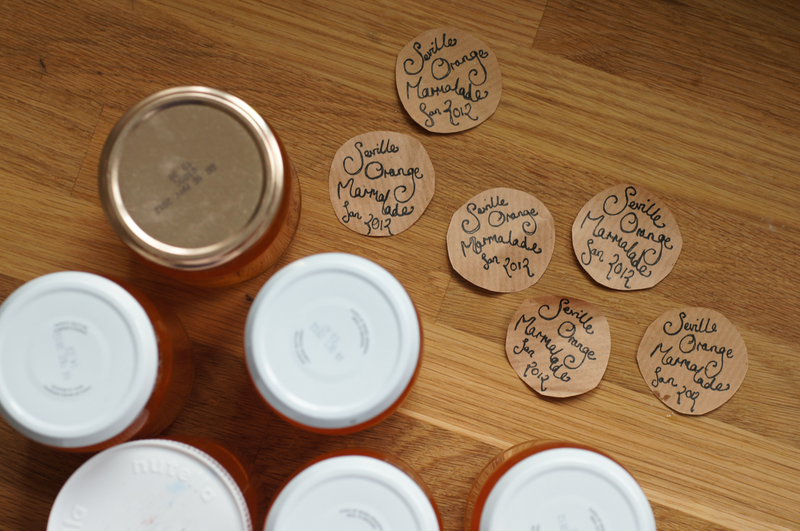 What lucky friends you have to get a little jar of sunshine with a cute label too! Ohhh these are so cute :) love the little labels hehe I've never thought of using a particular type of orange to make marmalade ~ yummy! sipsandspoonfuls - Hehe well I do love a bit of English food! The colour is wonderful, I'm so glad I bothered to make it. erin @ yummy supper - The crumpet-and-marmalade gene is a good one to get! I didn't know you could get crumpets in the US - are they widely available? Lucy - I keep on craving crumpets now too - my packet has run out. Glad you like the picture! Anonymous - Glad to be of help, I hope it goes well! I also made marmalade last weekend, although yours looks much nicer (I lost patience and did thick cut shreds to save time). It's really satifisfying, and tastes much better than shop bought. I would say don't bother with the pips as I read the pectin is in the oranges rather than the pips (thanks River Cottage jam book lol), I left them out and got a perfect set. I can also recommended rhubarb jam with stem ginger, very quick to make and tastes amazing - I'm saving a jar to make a victoria sponge. Mmm! Claire, BSR - Getting a thin shred is a bit time consuming - if I hadn't had a basically free day I doubt I would have cut them so thin. Though I do prefer to eat it with thin shreds. Thanks for the tip about the pips - I have to admit I partly just like the ceremony of it. Rhubarb and ginger sounds fabulous, I'll have to try that! Such wonderful back lighting which really makes the marmalade look alive and vibrant. I have been making to make jam for some time so good to get a reminder! The recipe looks easy as well so thank you. Such a lovely recipe... we are coming into the season for citrus now. Thanks so much for sharing this. 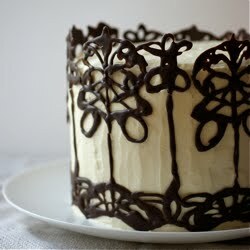 I recently stumbled upon your blog and have been enjoying your recipes and beautiful photography. Unfortunately, for us in the tropics (i.e. India), Seville Oranges are kinda hard to come by. As I've only ever sampled store brought marmalade before, my experience with making homemade marmalade is zilch. Am I able to use whatever oranges I have available locally or would it impact the recipe process and taste too much? Apologies in advance if using anything other than Seville Oranges is sacrilegious! Your work is beautiful and you must find immense satisfaction in doing what you love best. Keep up the good work!